This picture was taken near the trail that winds through the ruins of Fort Fisher and the battlefield surrounding it. 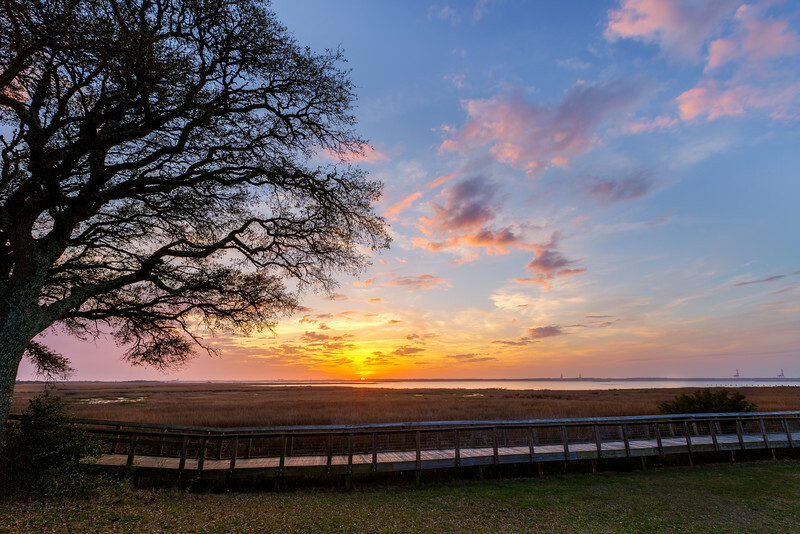 Fort Fisher Historic Site is located near the mouth of the Cape Fear River, about 30 miles south of Wilmington, North Carolina. As I stood watching this beautiful sunset, it was sobering to think of the more than 2000 soldiers who lost their lives when this Confederate fort was captured by the Union Army in January of 1865.